CH Graffiti's Life Just Got Easier 'Gavin'. 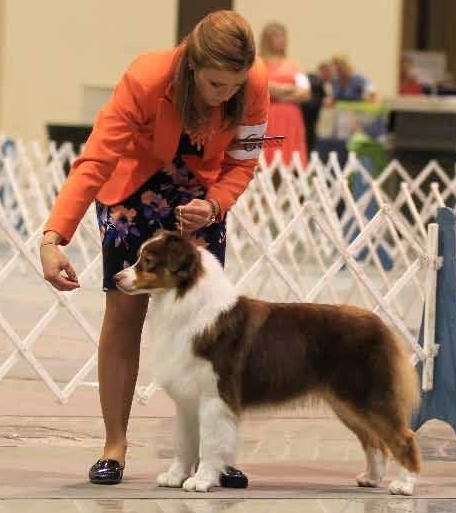 Roz was the pretty red tri that captured our hearts and has had a wonderful show career. She was BOW at the USASA Regional Specialty in Louisiana in 2013 under the expert handling of Hayden Hadley. She already has a big 5 pt. major ASCA win under Breeder Judge Lynn Cobb-Conn.
She has a new forever home with our good friend, Diane DeVoto of Fenton MO. 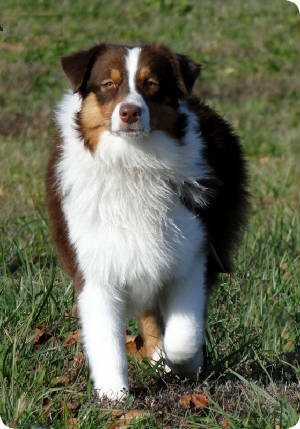 Diane has plans to finish her ASCA Championship and introduce her to stock to bring out her herding instincts. I can't wait to see these two work!